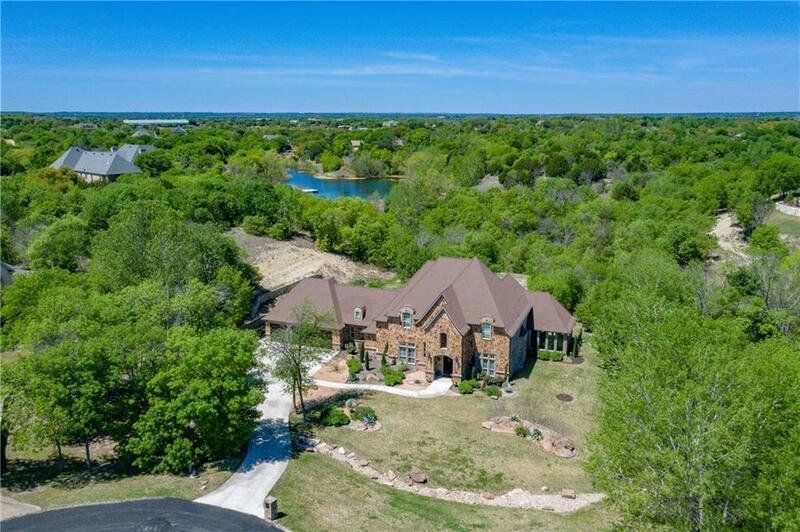 Private, serene Covered Bridge Canyon estate on a professionally landscaped lot of 1.48 acres backing to a peaceful creek with waterfall where nature abounds. 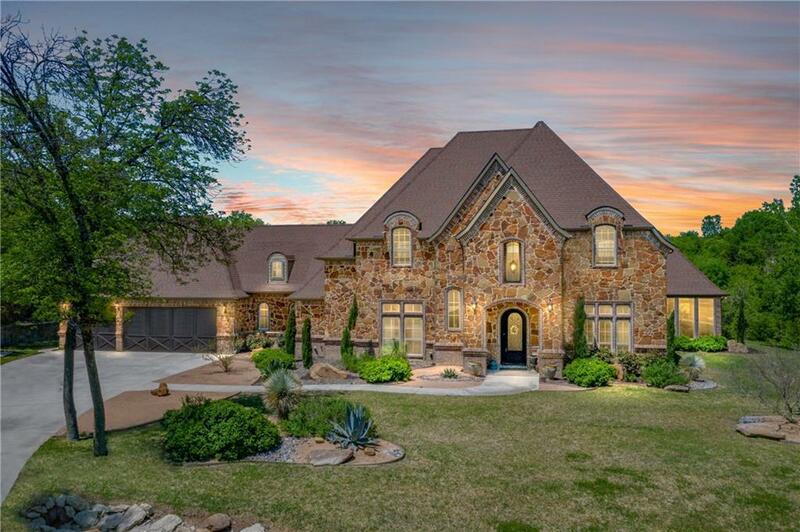 Breathtaking Mediterranean style home boasts luxurious features including stunning nail down wood floors, wrought iron front door, stone fireplace, gourmet kitchen with professional grade SS appliances & granite counters, 2 staircases. Enjoy wildlife views in a park like setting & natural light from an expansive glass flex room. 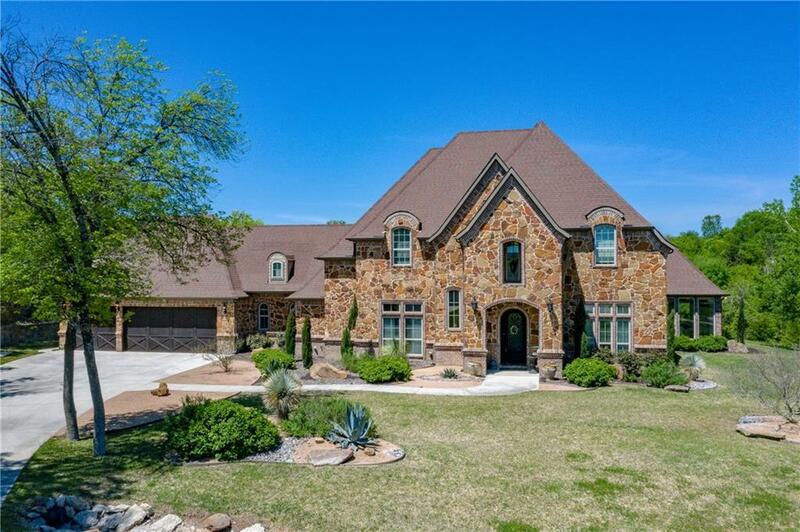 This 5,054 sqft custom home with 6 bdrms, 5.1 baths & 3 car garage offers plenty of living space and storage. 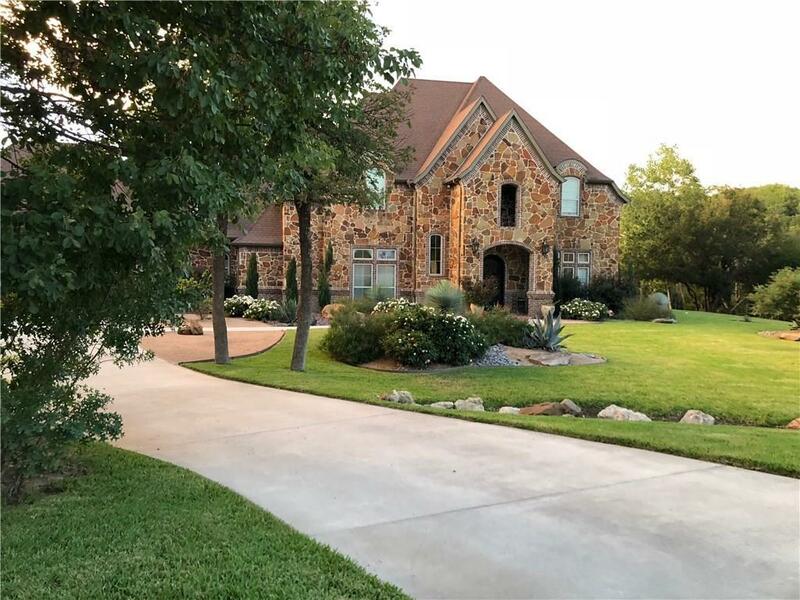 Just 15 min from local amenities, this home offers seclusion, relaxation, abundant beauty for the good life. Aledo ISD. Offered by Mitzi Lemons of Coldwell Banker Residential Br.